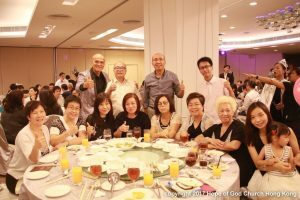 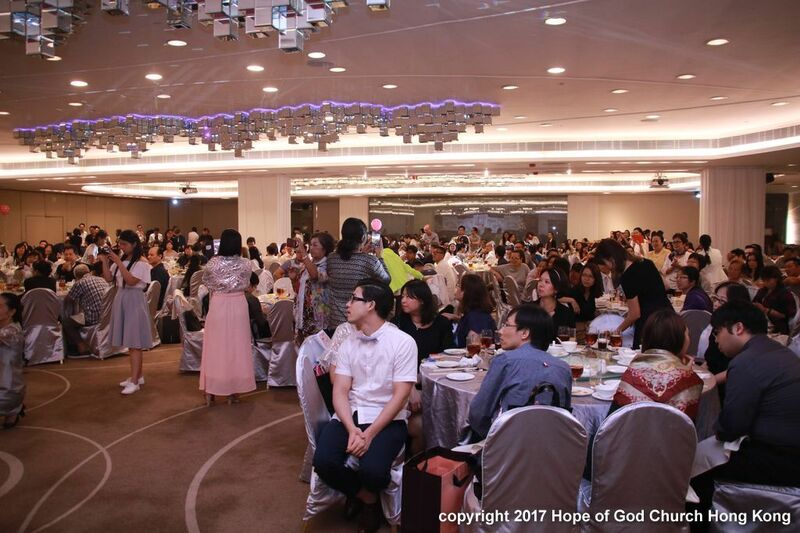 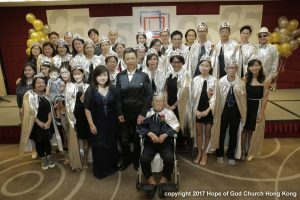 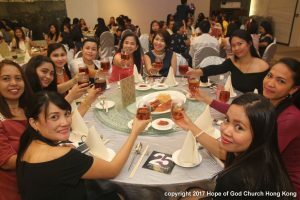 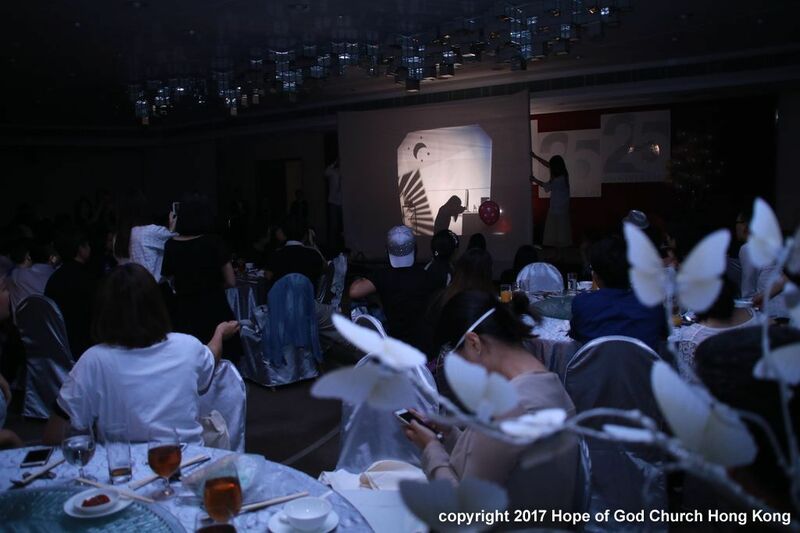 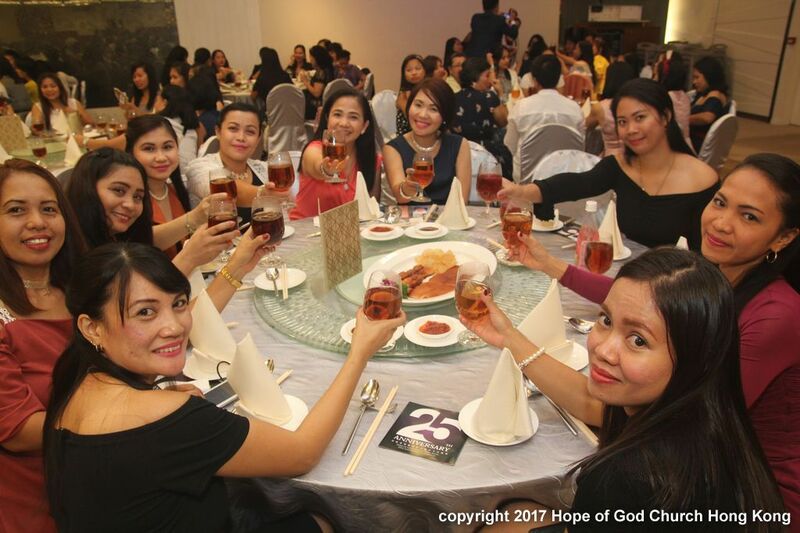 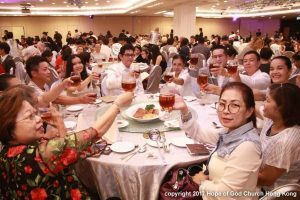 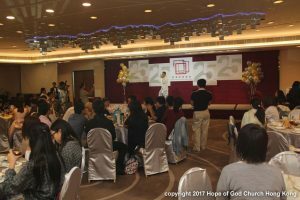 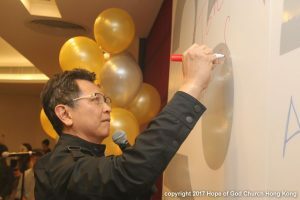 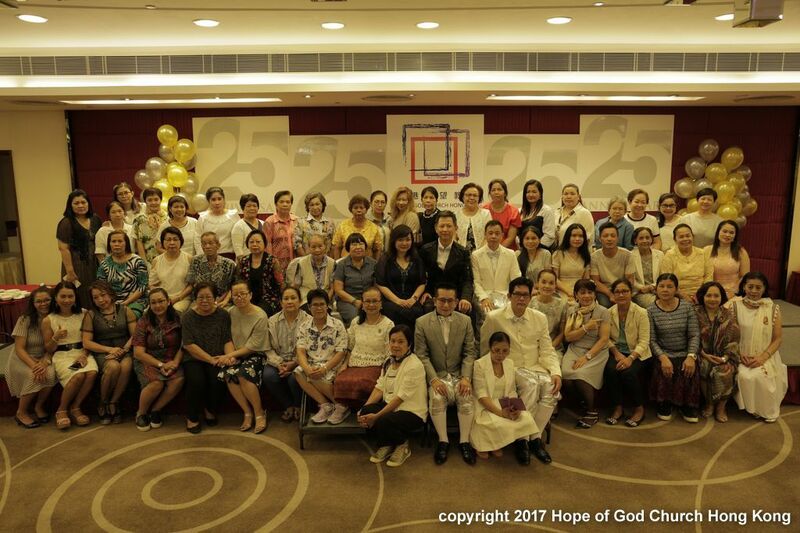 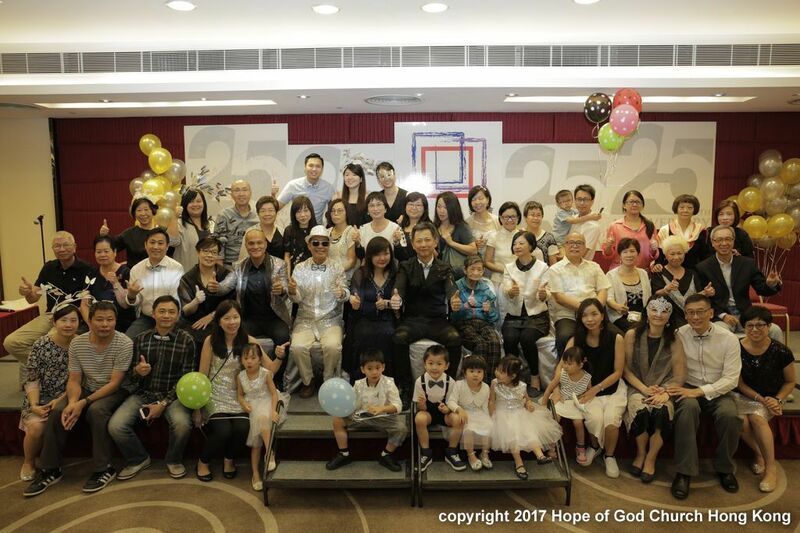 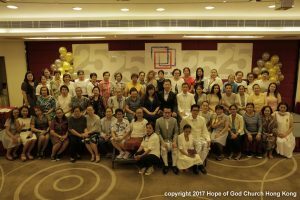 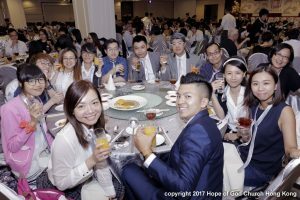 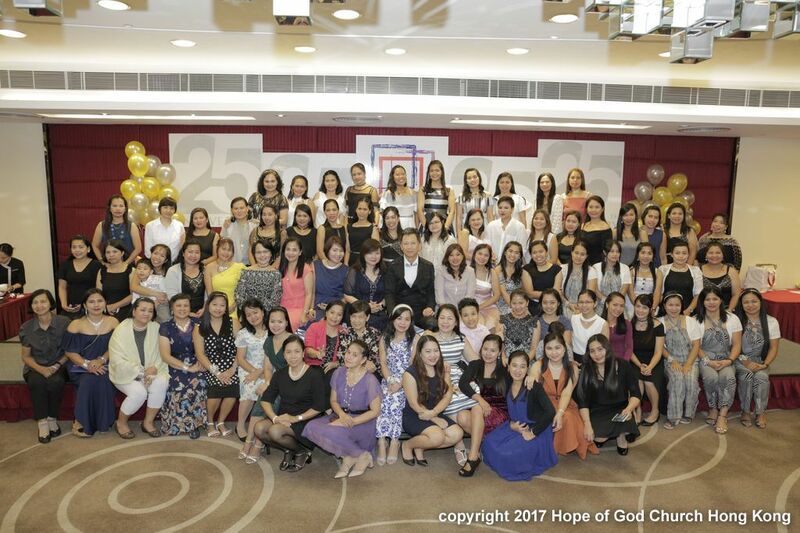 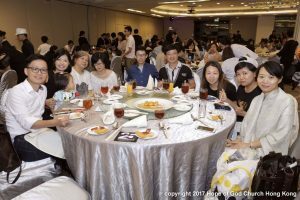 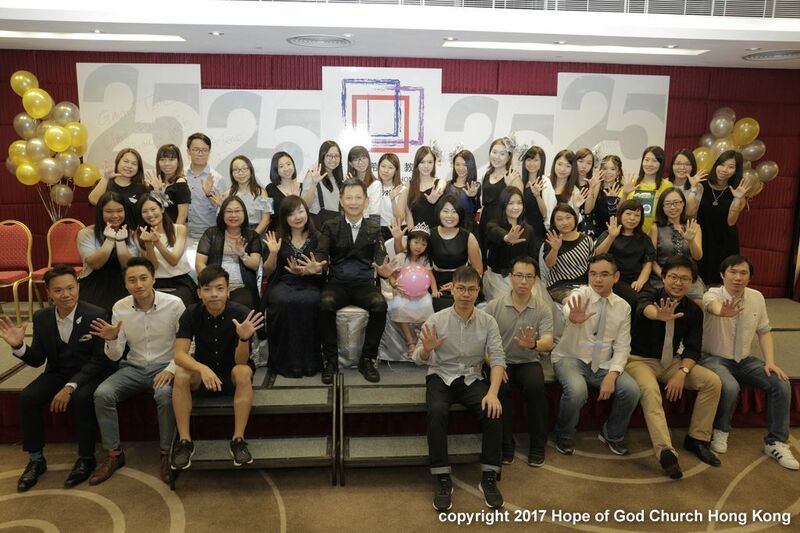 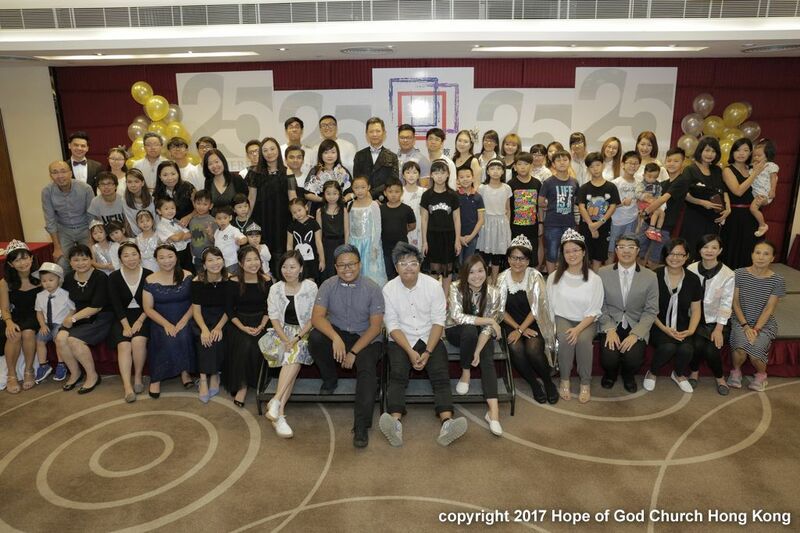 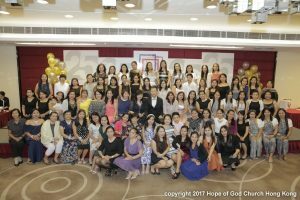 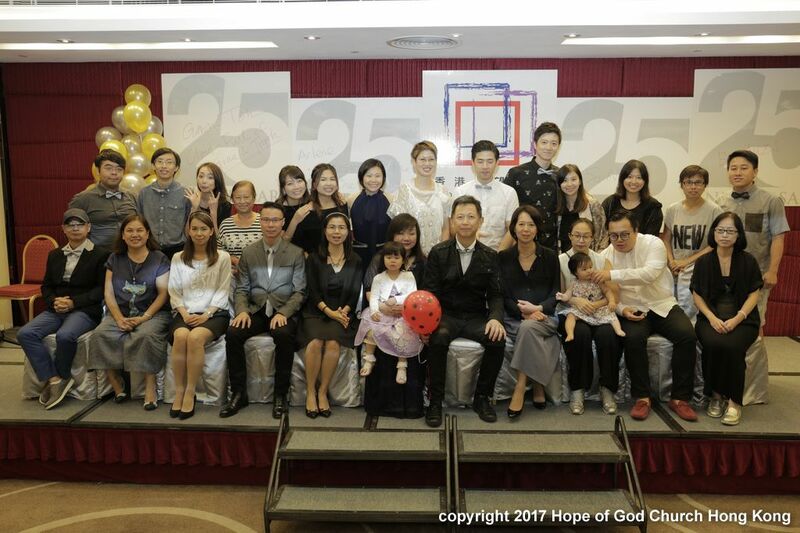 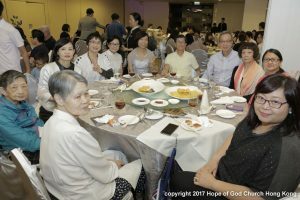 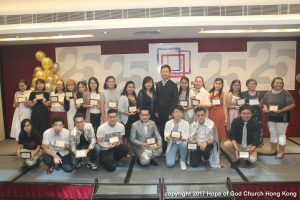 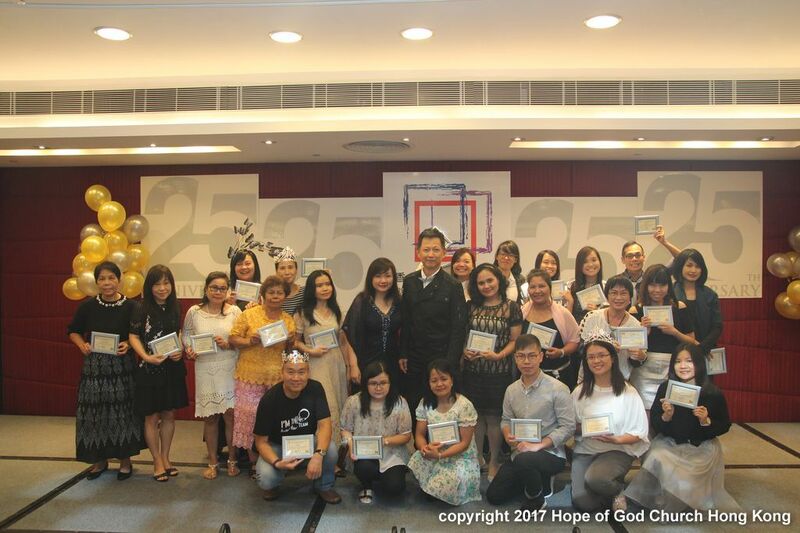 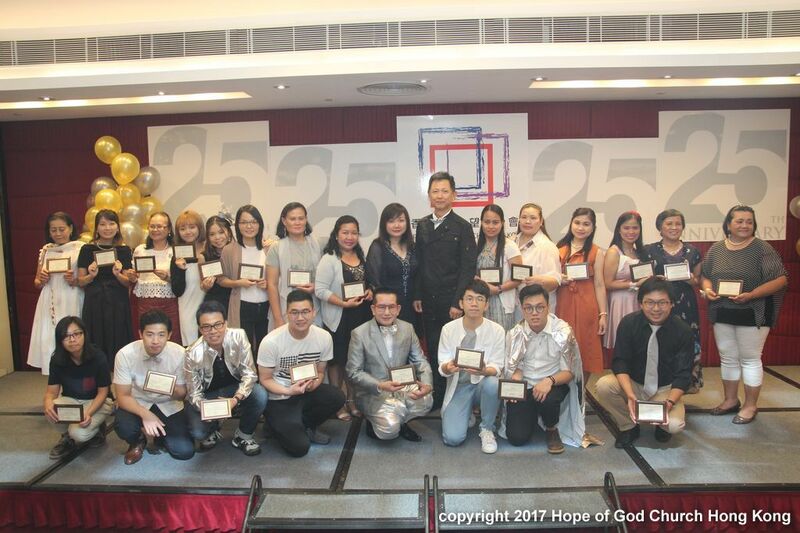 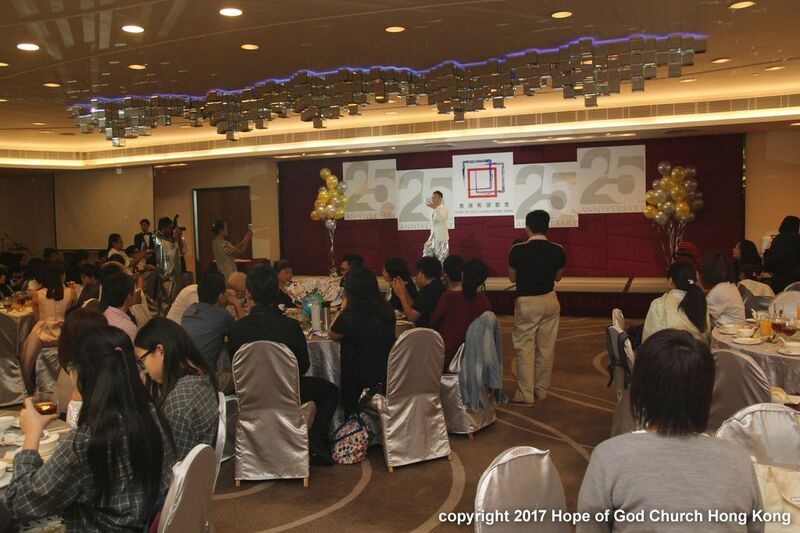 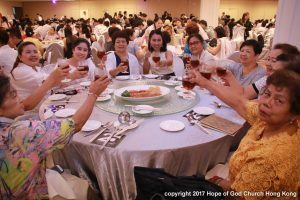 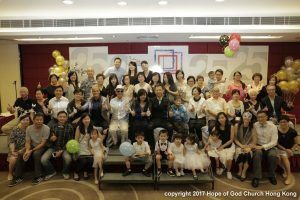 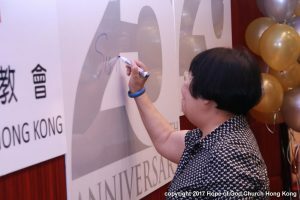 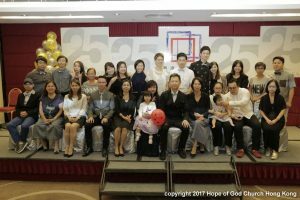 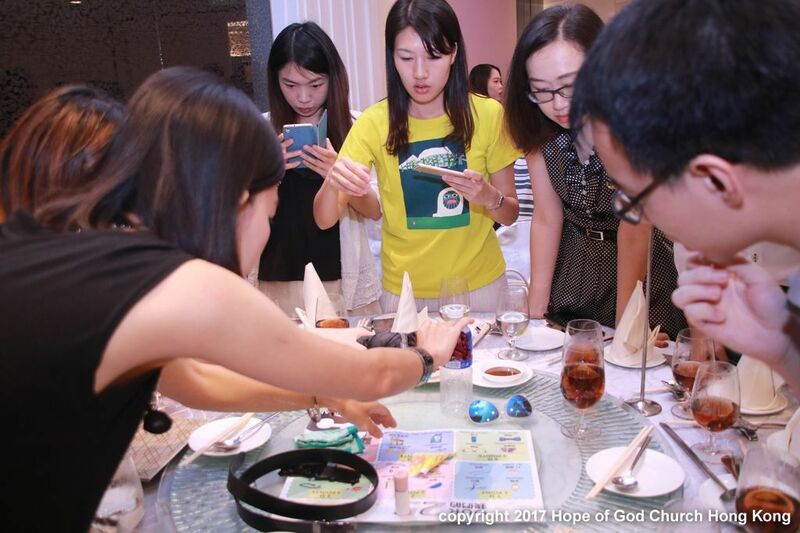 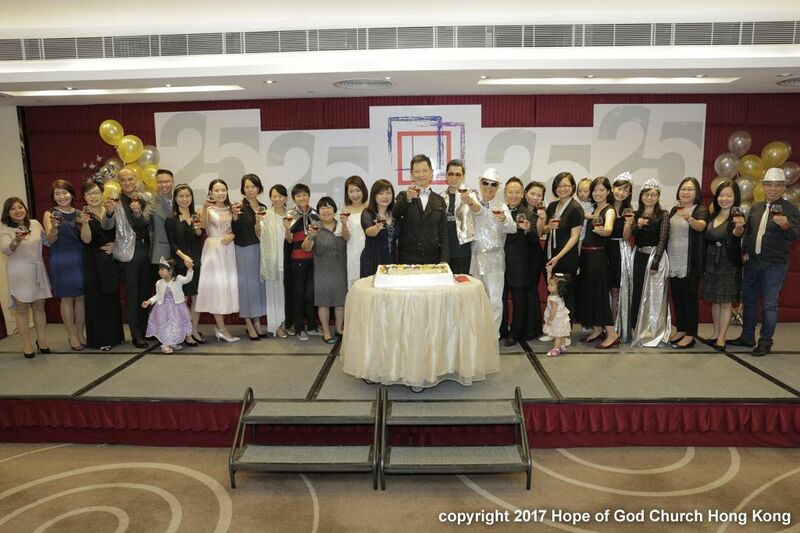 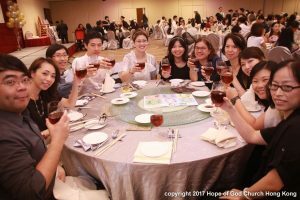 After the amazing Anniversary Celebration Service, we gathered at the Panda Hotel for our celebration banquet. 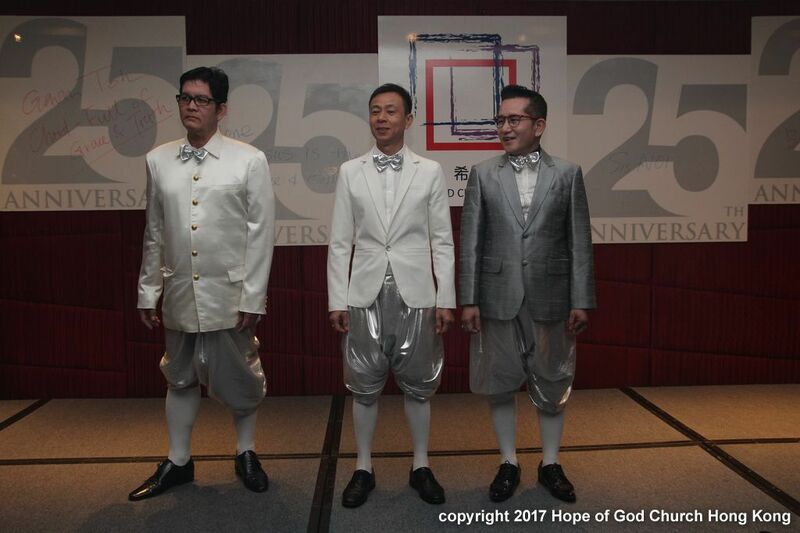 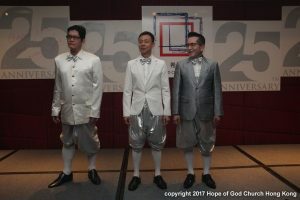 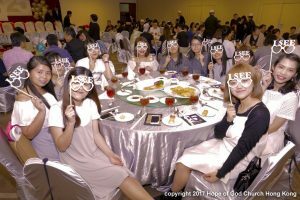 We all dressed in outfits in the theme of “Silver”,and making the venue shiny and glamorous. 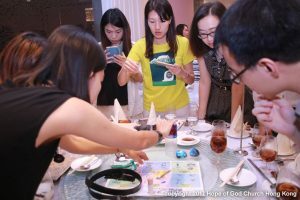 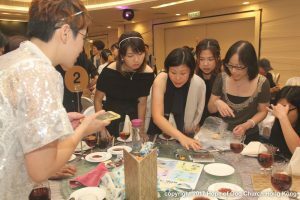 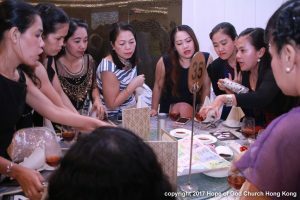 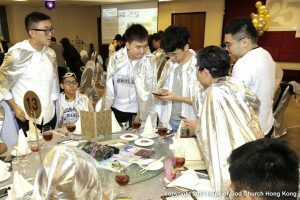 The evening started by the ice-breaking table game, during which each table was asked to collect various items as quickly as possible. Amazing to see how fast we could react ! 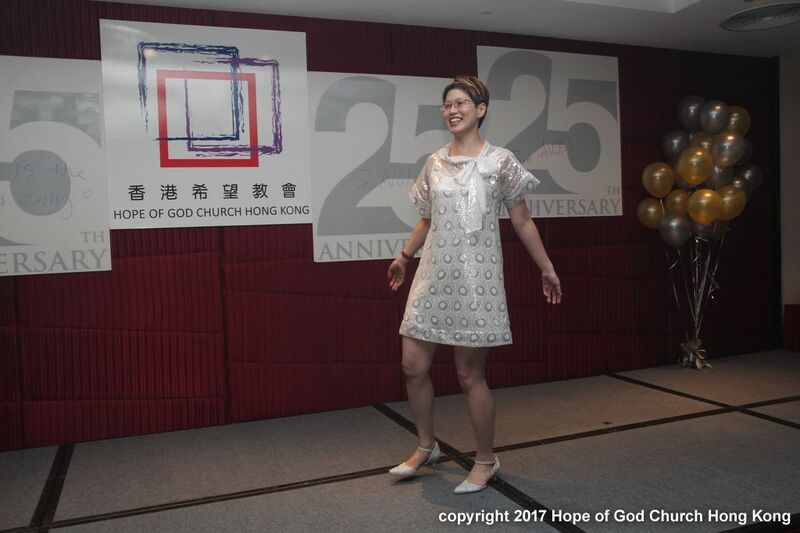 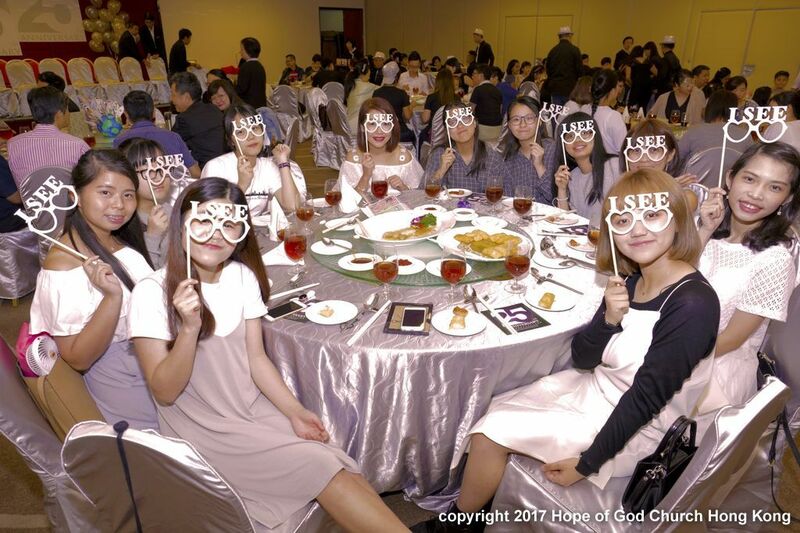 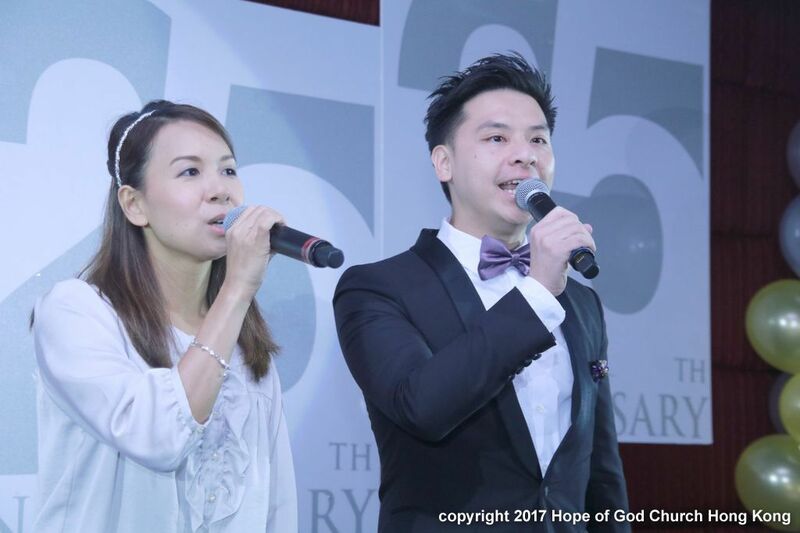 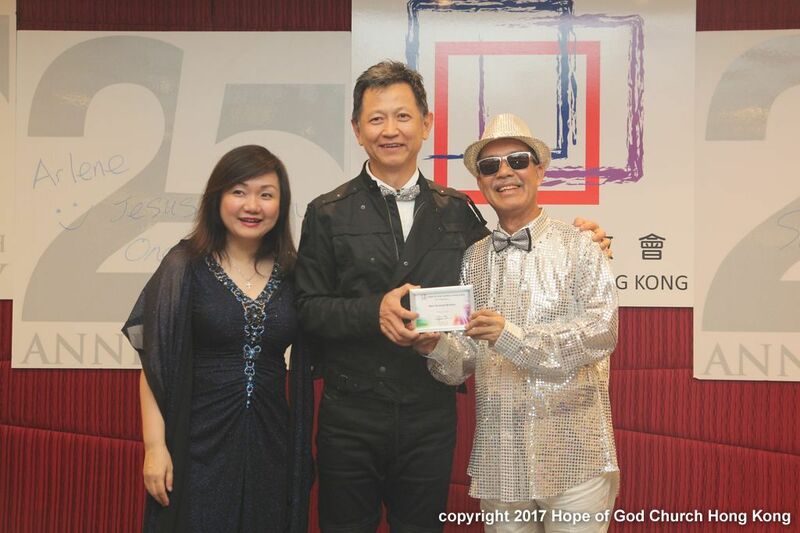 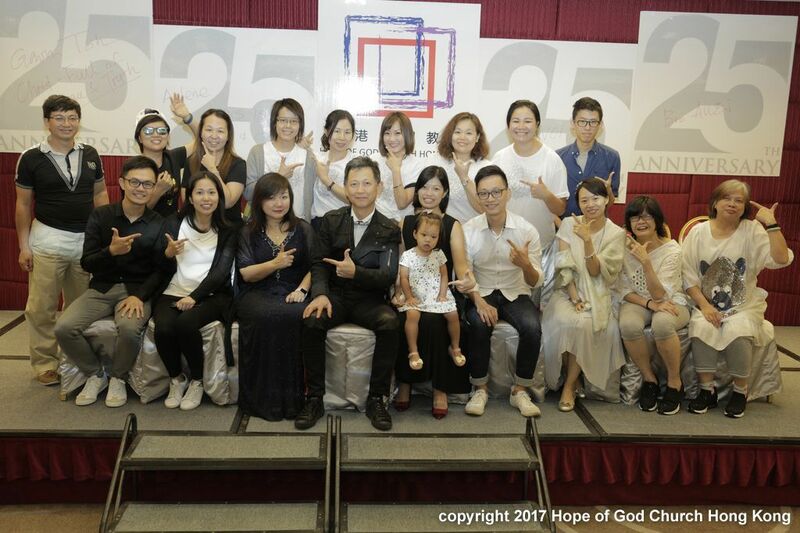 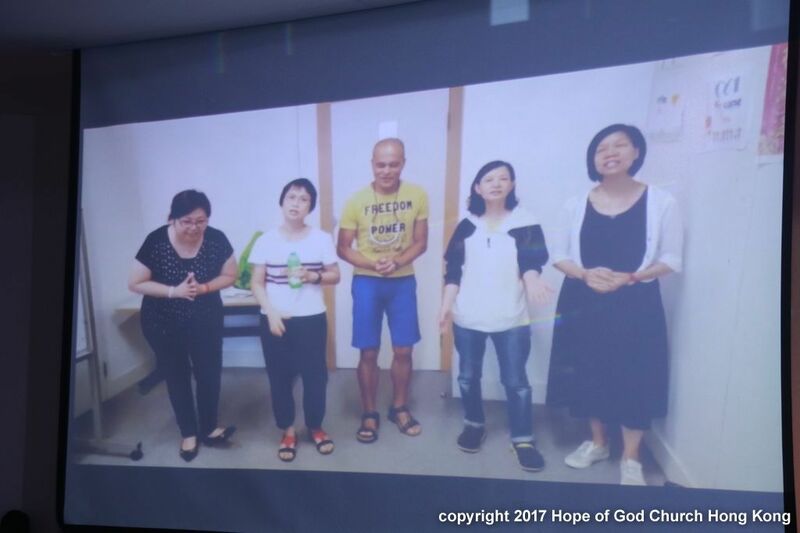 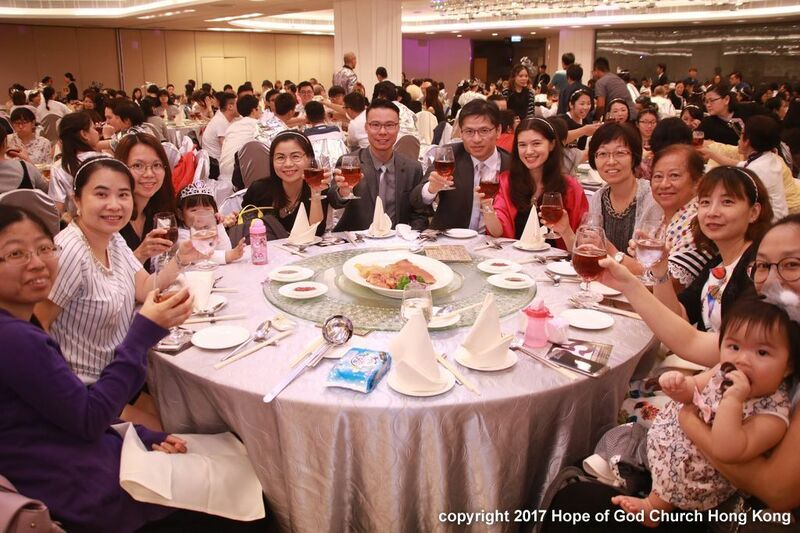 The pastoral team and the FGM kicked off the event by toasting, and then the programme started smoothly with the two MC,brother Fei and sister Julia. As the church grew to its 25th anniversary, many among us also grew up with the church. 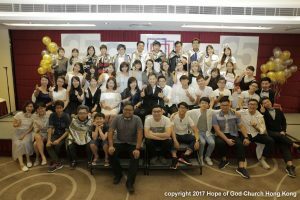 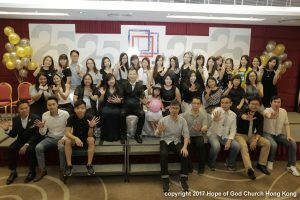 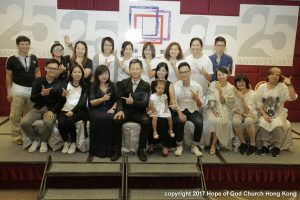 Our Children Church had nurtured a lot of our brothers and sisters, most of them are now committed to serve the Kingdom of God. 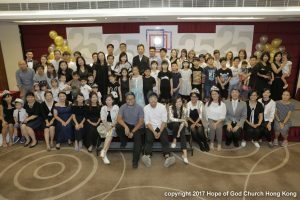 They gathered together,with the teachers and current Children Church members,to present a gift to church. 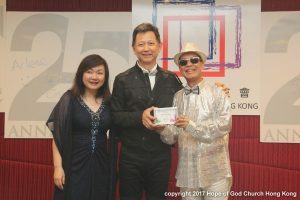 Pastor Gavin received it on behalf of the church and prayed for them. 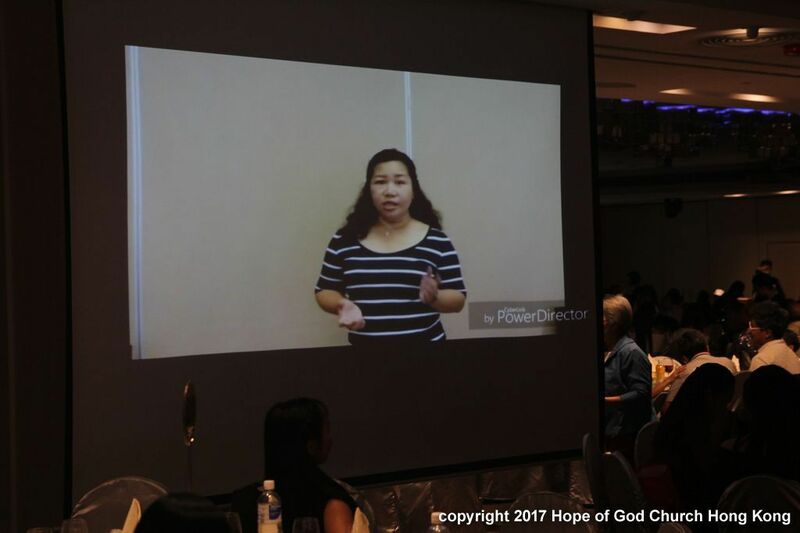 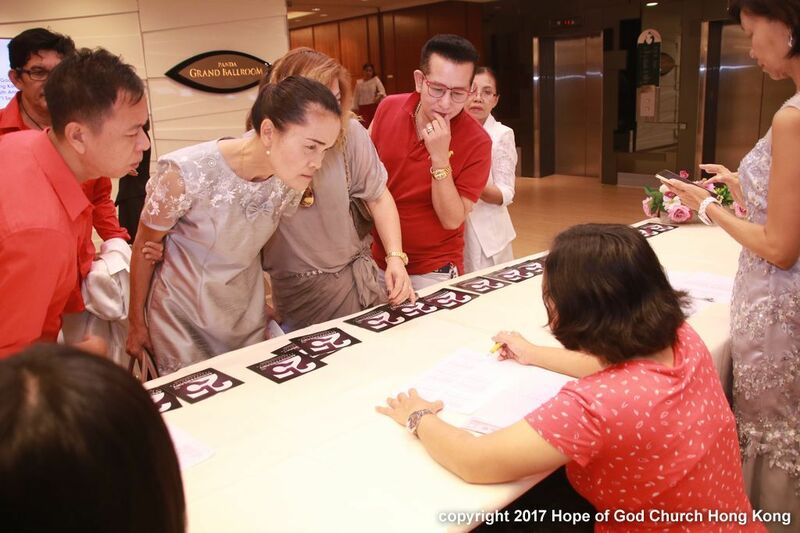 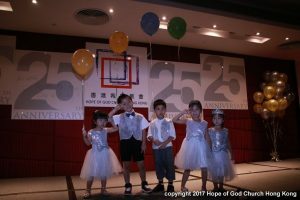 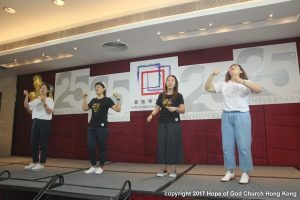 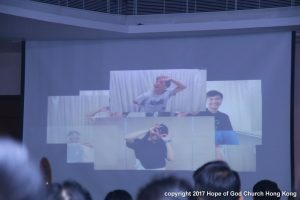 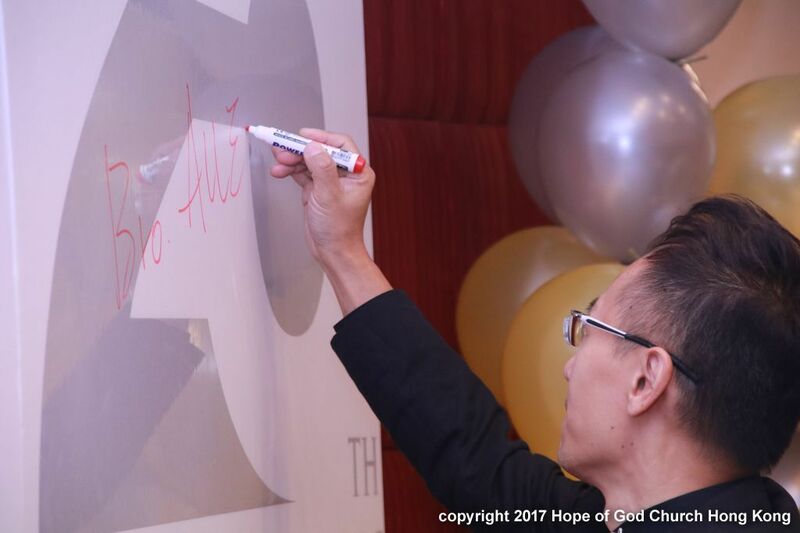 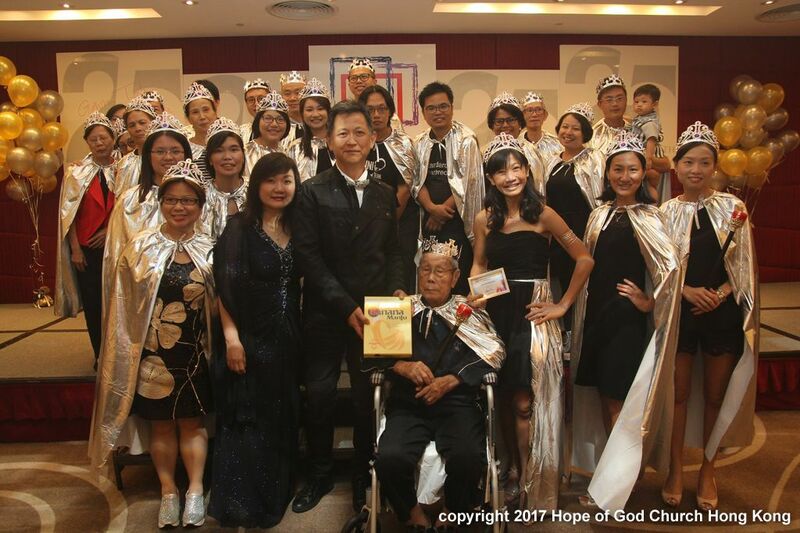 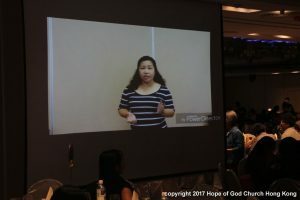 This drew the congregation’s attention vividly as to how important it is to continue to nurture our young ones with the grace of our covenant God. 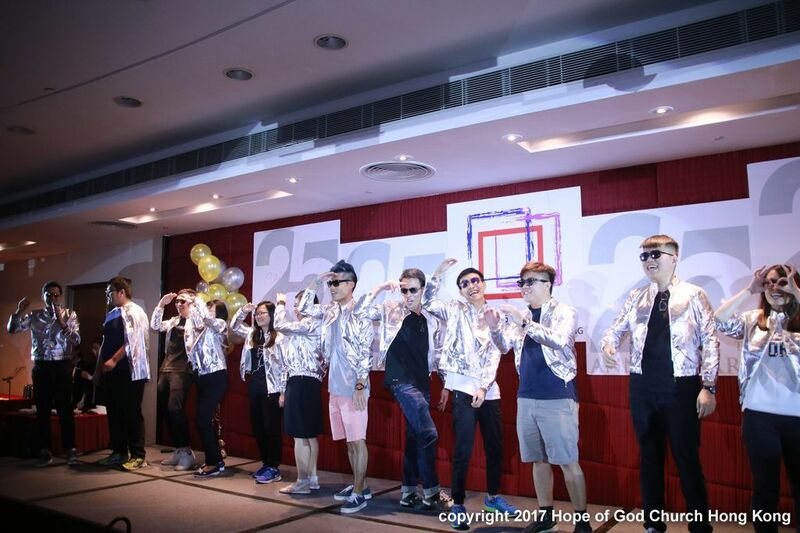 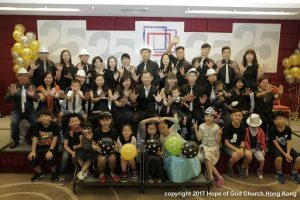 To celebrate this special milestone, each group prepared their own performances as a birthday gift and thankfulness. 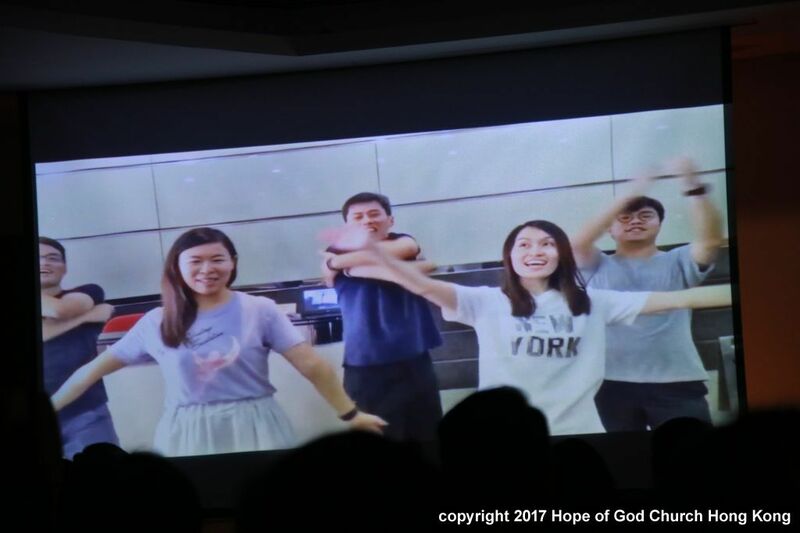 From videos of joyful performances, videos of memories and appreciation, to live performances of “lights and shadows” and sign languages, it was great to see how gifted brothers and sisters are. And then it came the annual recap video. 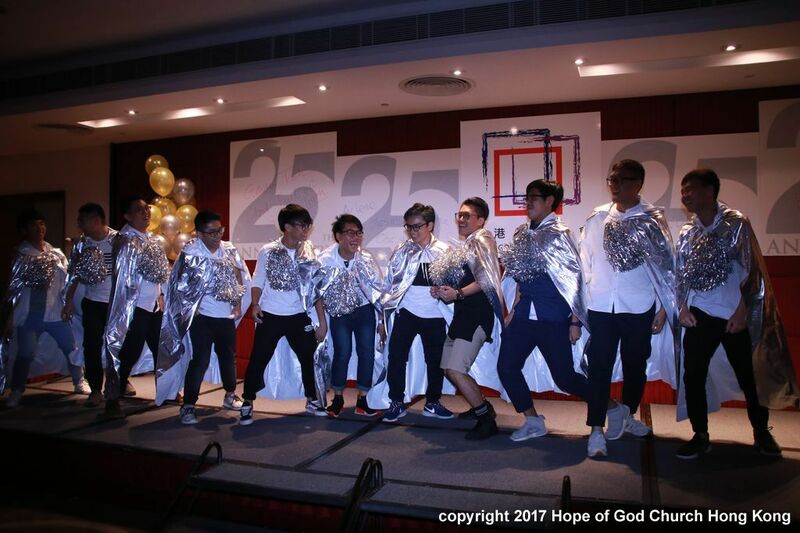 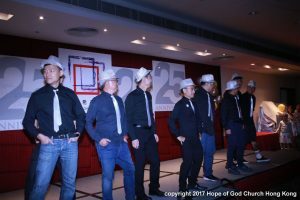 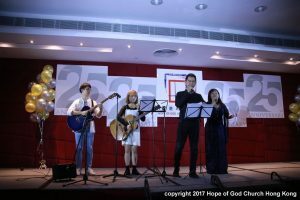 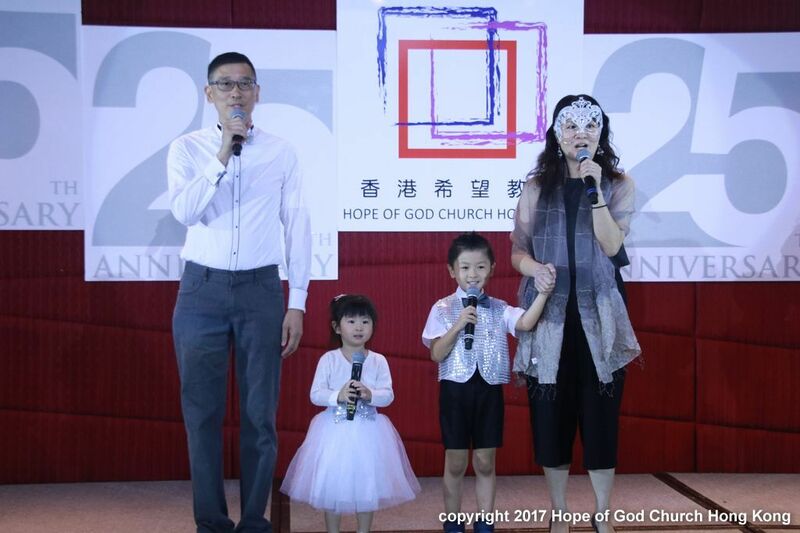 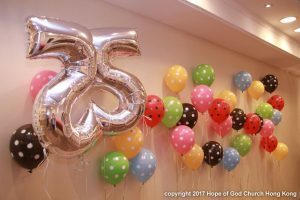 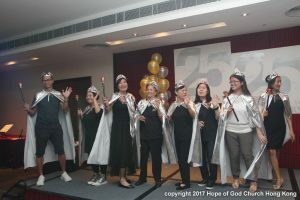 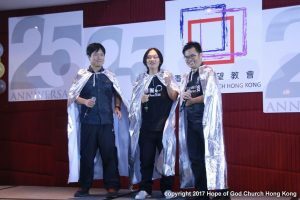 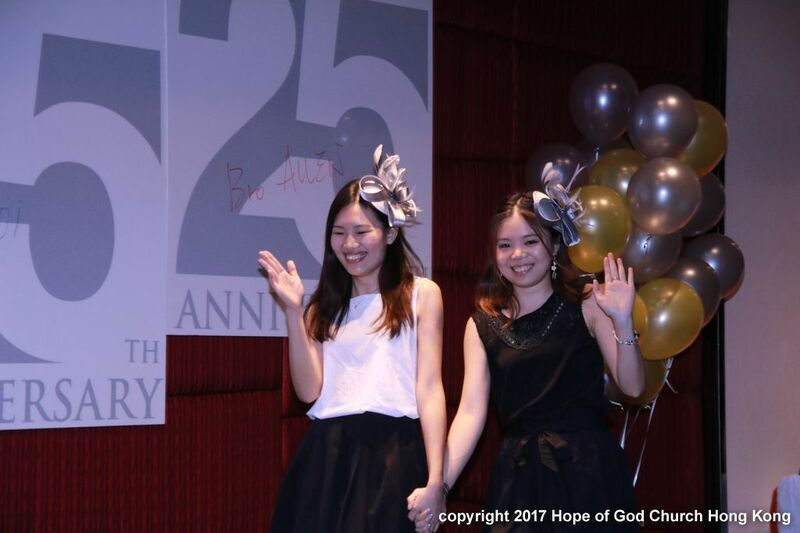 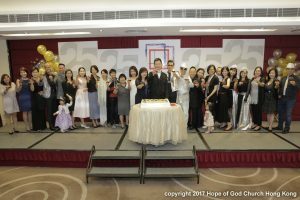 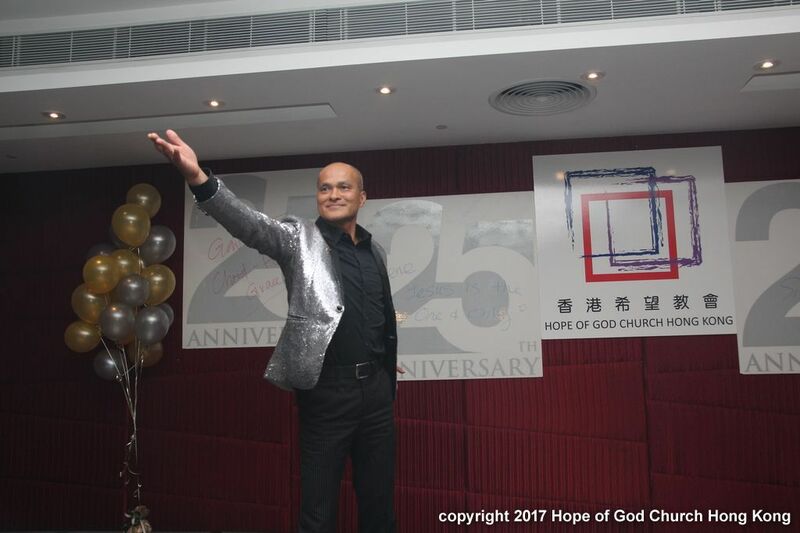 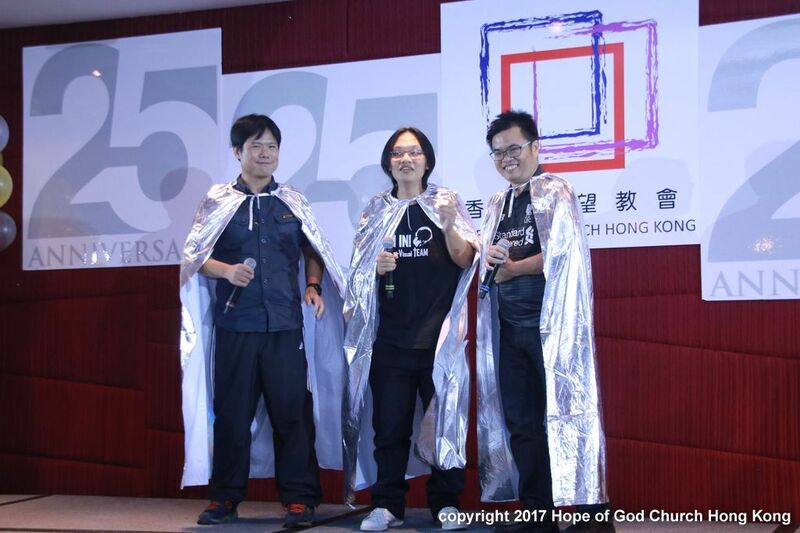 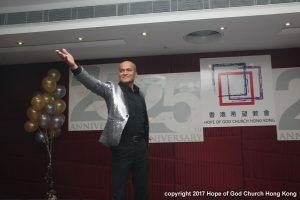 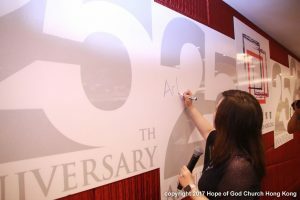 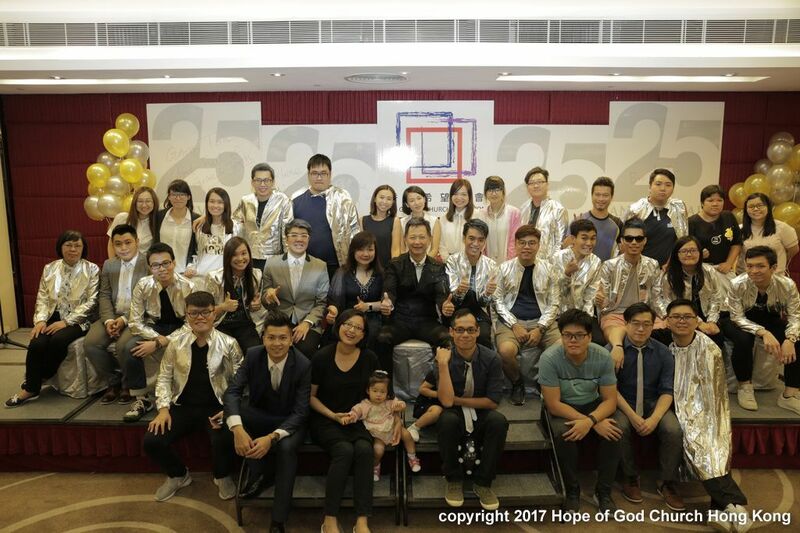 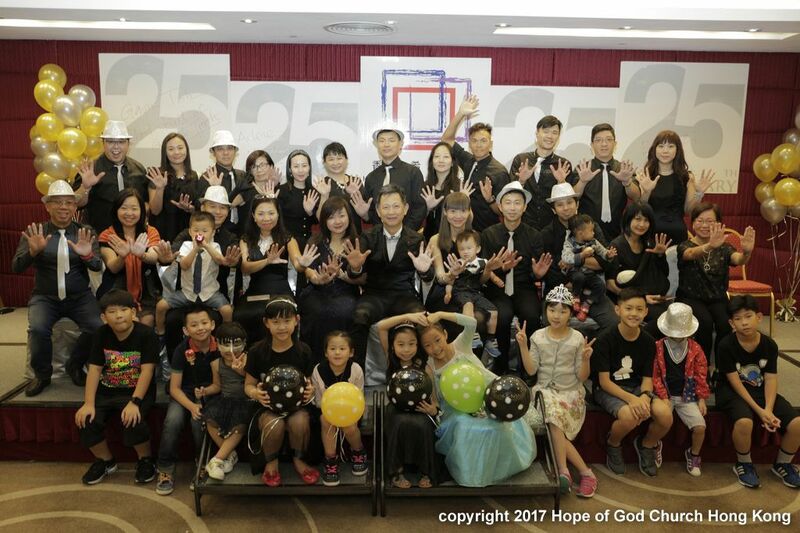 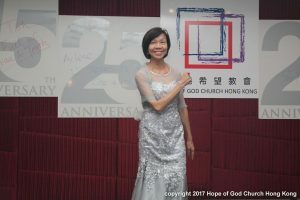 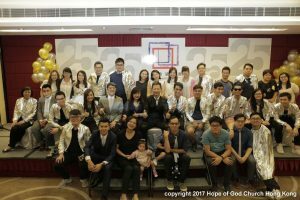 This year, the recap not only covered the events of last year, but also resurfaced the wonderful memories of our church over the last 25 years. 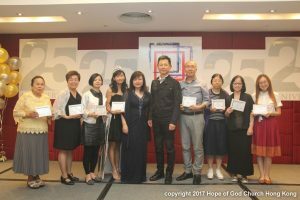 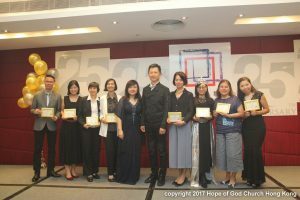 To show the church’s appreciation towards our brothers and sisters for their contribution to the church’s development, and as recognition of their faith, the church presented the 7th, 10th , 15th and and 20th year membership awards to our brothers and sisters. 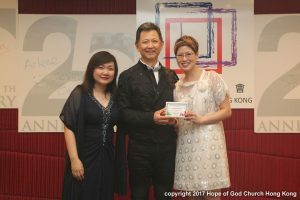 The church also presented its award to G7 for their significant growth throughout the previous year. This year, Ps. 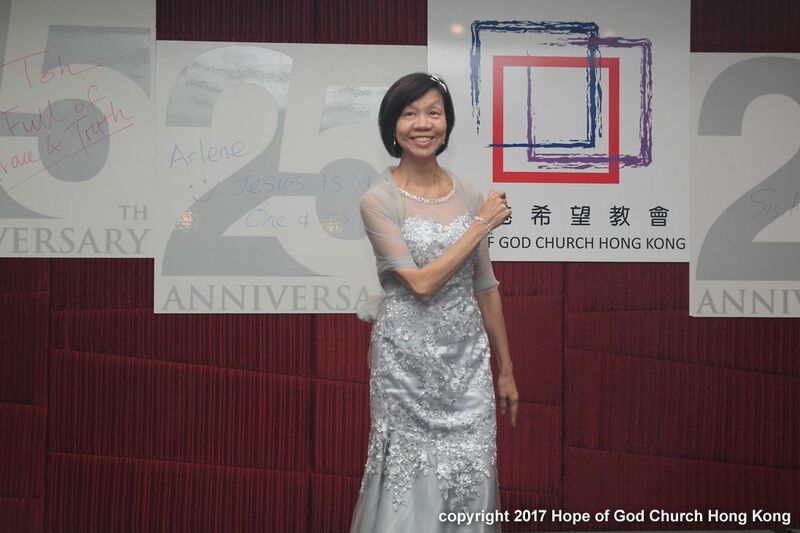 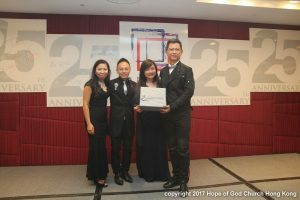 Gavin and Arlene Toh also presented their special awards to Sister Noi and Brother Allen to recognize their contribution to the church for the last 25 years – they have been here since the church started ! 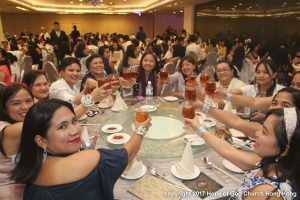 And then Ps. Toh’s family gave a wonderful music performance to the congregation. 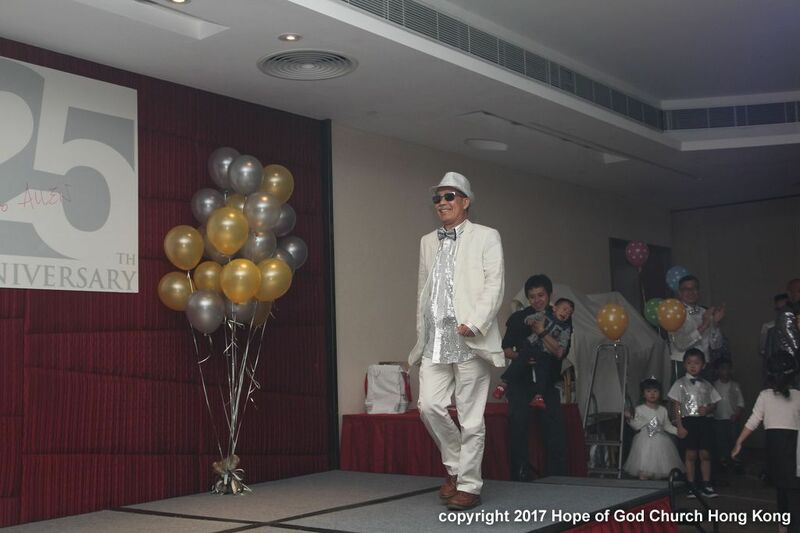 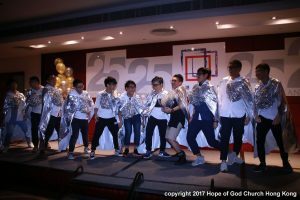 The event would not be complete without having our brothers and sisters doing their catwalk with their well-thought costumes. 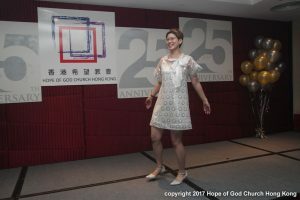 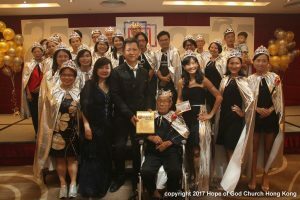 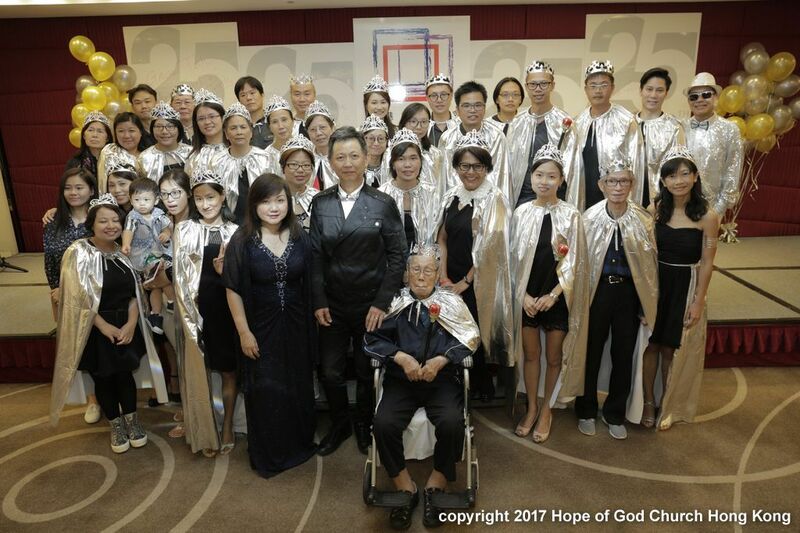 At last, Brother Lai (G2) and sister Debbie (G9) won the best dress awards in the individual section,and G3 won the award in the Group section.